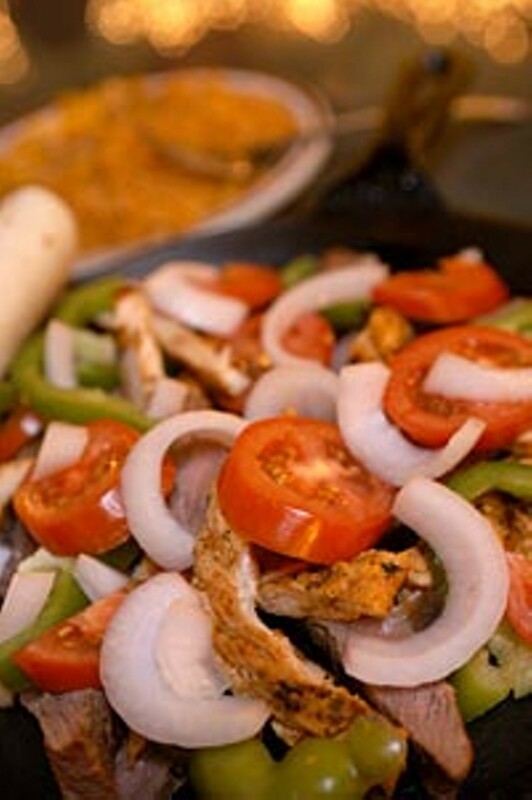 The menu announces that Juan’s is the home of the flaming fajita. The flaming fajita tops the price list and comes with three small tortillas and a plate of beans and rice. These were excellent fajitas, with lots of charred green peppers and onions, grilled chicken and steak, well seasoned. It was great fun to watch our server pour brandy around the perimeter of the cast iron griddle and set it aflame with a click from a barbecue lighter. The liquor gives it a mellow flavor. Go ahead and splurge for the extra cheese ($1) because the flames melt it so nicely.